Prix sur base de minimum 2 pers. 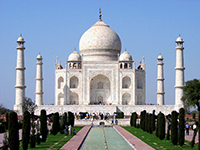 Early Morning visit of,“ Taj Mahal ”, and return back to hotel for breakfast then visit “ Red Fort ”. 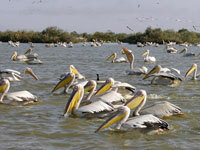 After lunch, departure for Bharatpur. Enroute visit Fatehpur Sikri. Arrival and check-in to the hotel at Bharatpur. Ovenight stay at the hotel. Post breakfast morning visit to the bird sanctuary (Kaladeo National Park). 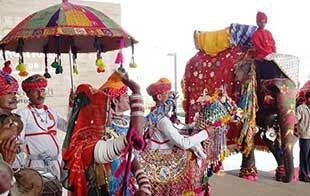 Arrival at JAIPUR for lunch. Post lunch Visit to the beautiful temples of Galta Ji (10 km away from Jaipur) and then visit Birla Temple. 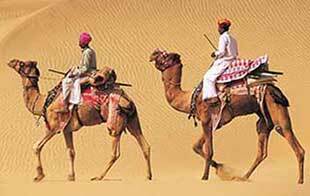 After breakfast, visit of the Amber Fort reachable on elephant back and visit adorable Hawa Mahal,(Palace Of Winds). 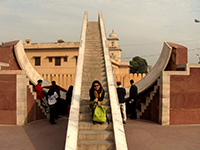 Post lunch visit of City Palace and Jantar Mantar, astronomical observatory. After breakfast, departure for Samode. 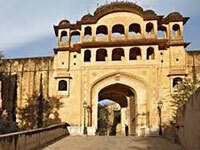 On arrival at Samode Palace, glance at the palace, noon time check-in. Free leisure time. After breakfast, morning departure from Samode towards Delhi. Arrival and check in to the hotel at Delhi. Free leisure time. 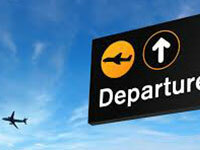 After breakfast, transfer to Delhi airport to catch the internal flight towards Chennai. Arrival at Chennai domestic airport and transfer to the hotel. Overnight stay at the hotel. 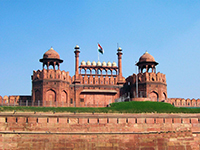 Half day dedicated to the visits of Chennai city. For those who wish to avail, the proposed visits are : The Government Museum, The Kapaleswara Temple, Parthasarathy Temple and Marina Beach. After breakfast, departure for Mahabalipuram, en route visit of Kanchipuram. 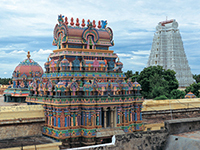 Scheduled Visits : KailashanathaTemple, Sri Varadaraja Swami Temple and Ekambareshvara Temple. Arrival at Mahabalipuram and check-in to the hotel. 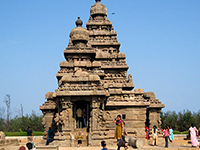 In the afternoon, scheduled Mahabalipuram visits:- The Shore Temple.- Descent of the Ganges. pondicherry-packagesAfter breakfast, departure for Pondicherry.Before arriving at Pondichéry, we will pass by Auroville. 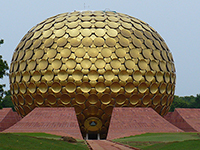 Then, we reach Pondicherry for visiting Sri Aurobindo Ashram and a hindu temple. 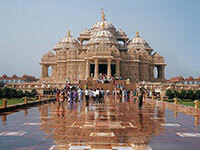 In the viscinity of the Ashram, a hindu temple is situated where an elephant bless you with his trump for some rupees. Stroll on the dike (here no beach) and. madurai-packagesAfter breakfast, departure for Trichy. 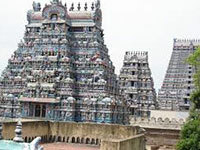 On the way, city tour of Tanjore (Thanjavur), visit Shiva Temple, also known as Brihadishwara. Next visit Marata Palace Museum. 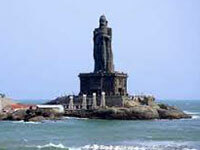 Arrived at Trichy (Tiruchirapalli), then visit Srirangam Temple and Rock Fort. After breakfast, departure for Madurai, the temple city, the holiest city of Tamil Nadu. 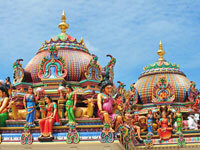 Visit ” Sri Meenakshi Temple: dedicated to Shiva and Parvati, God’s perfect spouse, ” the goddess with fish like eyes “. In the evening, in this temple, Shiva’s lingam’s ritual procession towards the shrine takes place. After breakfast, route towards Rameshwaram. Sri Ramanatha swamy temple, Pamban Bridge, Dhanushkodi Beach, Gandhamdhana Parvatham, Agnitheertham are some scheduled visits at Rameshwaram. After breakfast, journey towards Kanyakumari. On arrival check in to the hotel. 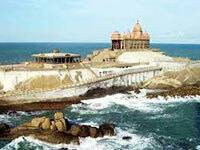 Some scheduled visits: Vivekanand Rock Memorial, Gandhi Memorial and Sree Kanyakumari Devi Temple. 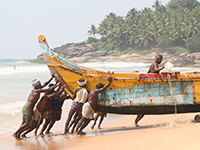 After breakfast, journey towards Kovalam, one of the most popular beaches of India. Excursion to Chowara, hill offers a magnificent panoramic view of the palm grove Or free time at your disposal to admire this idyllic beach full of palm trees and coconut palms. 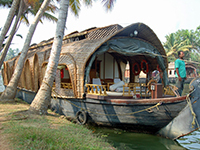 After breakfast, in the morning, journey towards Periyar and enter into Kerala, the India’s most luxurious State. On arrival check in to the hotel. 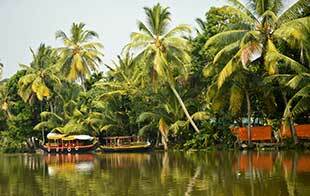 It is good to see especially the natural heritage of Kerala while visiting the Periyar Wildlife Sancturay, Cruise in a boat and visit spice plantations. Free time at your disposal. 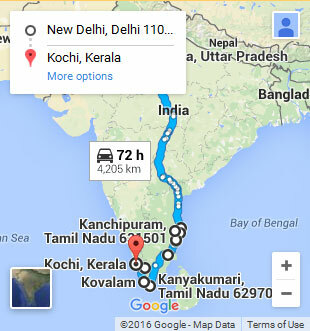 After breakfast, Route towards Cochin (Kochi). Arrival and check-in to the hotel. Make use of of your free time by taking a stroll in the picturesque fishermen’s Chinese nets market. In the evening, watch & enjoy the traditional Kathakali dance show. You can also have a glimpse of the performers’s tireless make up session. After breakfast, visit Saint-Francis Church, Dutch Palace, the oldest jew’s place of worship in India and stroll in the jewish colony. Lunch in the small port of Chinese nets.Late evening, transfer to Cochin international airport to catch the flight way back home. privée climatisée avec un chauffeur anglophone pendant tout le trajet. Tour de Plantations d’épices, à Promenade en bateau, à Periyar. 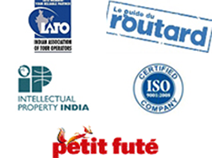 Kanchipuram, Mahabalipuram, Pondichéry, Madurai et cochin.